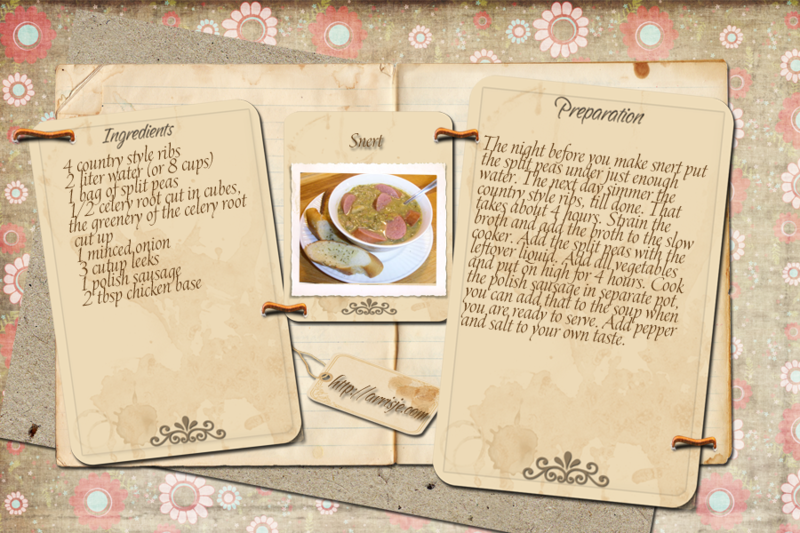 Snert is a not so nice word for this wonderful soup. Snert is a Dutch word for substandard quality, rubbish or trash, The first time my husband was asked if he would like to eat some snert he was thinking wtf ??? And said politely:” No thank you” Later on, he told me that he thought he was asked if he wanted to eat some snot lol. 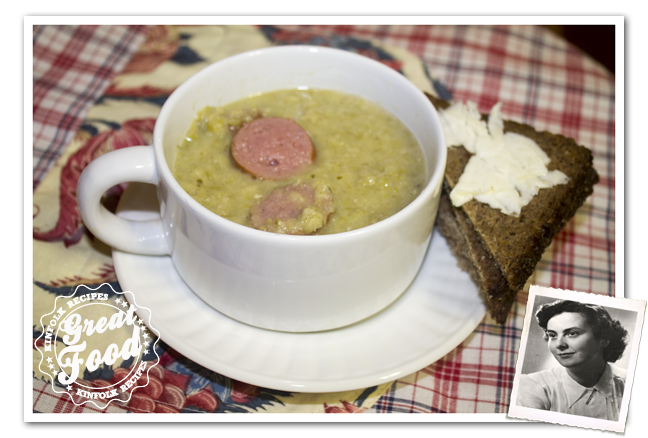 The soup originally was made from leftovers with green or split peas thrown in for substance. The peas now are the main ingredients, as are a smoked sausage and pork. Other items added to the soup include leeks, celeriac and onion. This soup is in the wintertime staple food for most Dutch households. When you make this soup your spoon should be able to stand up by it self 🙂 Some like it that stiff, some don’t. The soup is filling and is particularly in favor during the winter season, for example at outdoor skating events. This is one of the many recipes from my mother Gonnie. The night before you make snert put the split peas under just enough water. The next day simmer the country style ribs, till done. That takes about 4 hours. Strain the broth and add the broth to the slow cooker. Add the split peas with the leftover liquid. Add all vegetables and put on high for 4 hours. Cook the polish sausage in separate pot, you can add that to the soup when you are ready to serve. Add pepper and salt to your own taste.